When you are considering points for hiring your next hardwood flooring contractor, you will have a lot of questions on your mind, particularly since flooring installation is such an investment. 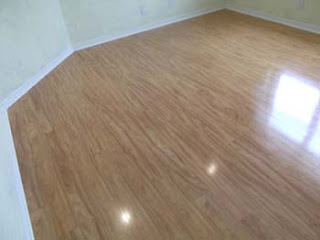 Your floors are one of the most important areas of your home. You need to make sure that the floor is secure, and that it looks pleasing to the eye. Here are some of the points to consider when you are working with a home flooring contractor. How much time will the flooring installation project take to complete? You need to make sure that your installer can get the job done, and quickly as well. Since there is no way that you can avoid walking on the floor, this is one household project that can’t be put off. This is both for the attractiveness of the home, and also for the safety of the home inhabitants. Your flooring contractor should be able to take accurate flooring installation measurements of the floor. This should seem obvious, but some installers that might want to cut corners might be tempted to “eyeball it”. They might try to convince you that they can get the right measurements, just by taking at look at your floor, because they’ve been at it for so long. Don’t fall for this. A true professional will take measurements, each and every time. They should be double checking the measurements even during the job, to make sure there are no changes in the subflooring, or in the baseboards. All of this prevents against buckling and warping in the floor.